Mindy, left, at the Women’s Strike this year where she can always be found: holding up the MORE Banner! We appreciate your work as an unrelenting union activist and social justice advocate but also as a member of MORE. Today, the UFT will be recognizing you with a #PublicSchoolProud award – Congratulations and enjoy the celebration at Teacher Union Day! 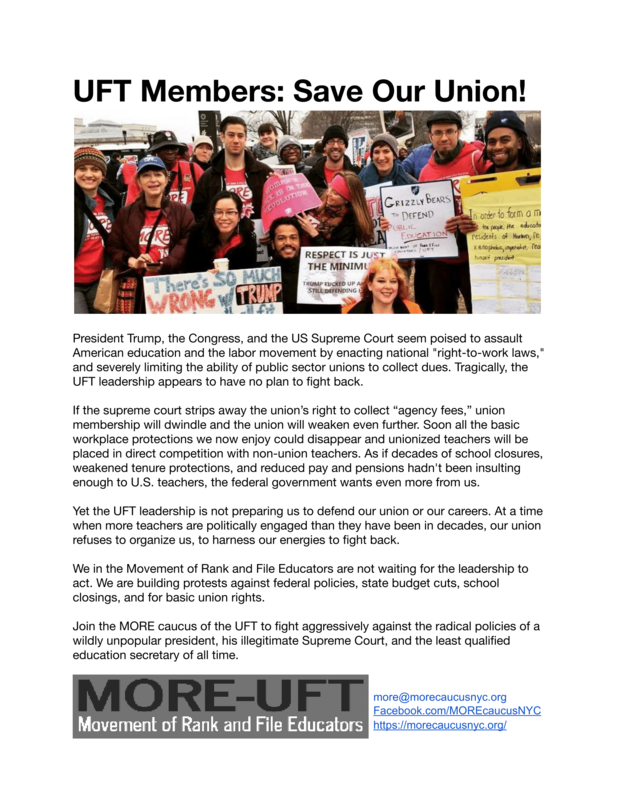 UFT Members: Save Our Union! 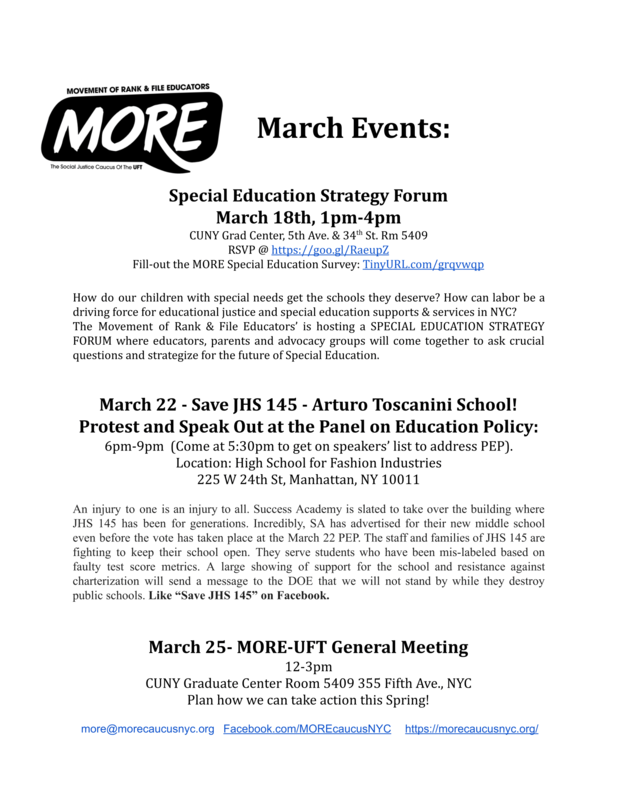 Please consider printing out this two-sided flyer and distributing it to the UFT members in your network. It includes upcoming events to allow your colleagues to plug into the work MORE is doing across the city. It’s time to wake the sleeping giant of the UFT to defend our students, our members, and our schools against Trump, Cuomo, DeVos, “Right to Work”, and whatever else the enemies of public education have in store for us.